Ships tomorrow if you order in the next 17 hours 11 minutes. Power-Cleanse Intensive Powder Face Mask and Scrub from Ora’s Amazing Herbal works to clean and exfoliate your face with every use. This powdered facial cleanser is made with an organic herb base and doesn’t contain parabens or other synthetic ingredients. This formula includes activated charcoal, which is a nontoxic powder that has been broken down into a fine powder that is almost all carbon. 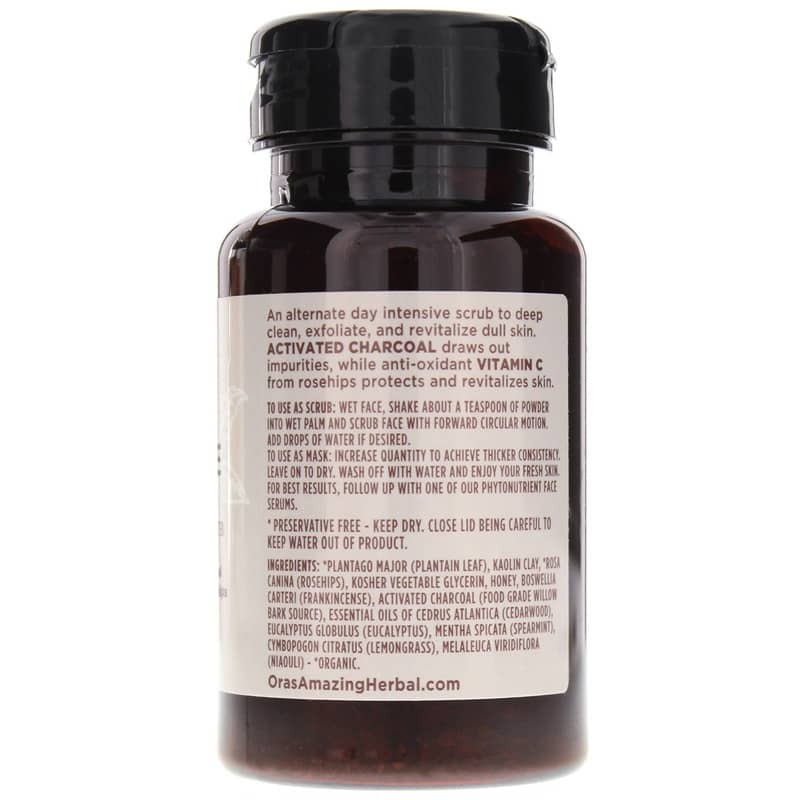 It has been used for a variety of health reasons, including detoxification, exfoliation, and more. In this cleanser, the charcoal seeks to wash away impurities and leave the skin smooth and soft. Rosehips also offer a source of vitamin C, and also contain antioxidants that protect cells from damaging free radicals. 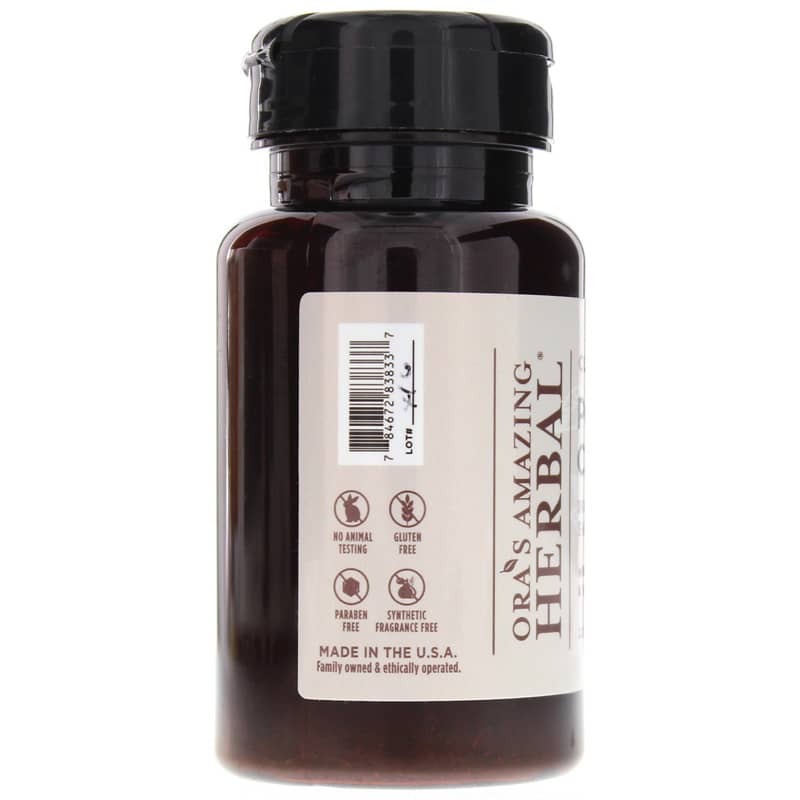 Other herbs in this blend include essential oils of cedarwood, eucalyptus, spearmint, lemongrass, and niaouli, (also called the Paperbark Tea Tree) which offer a clean, fresh scent. 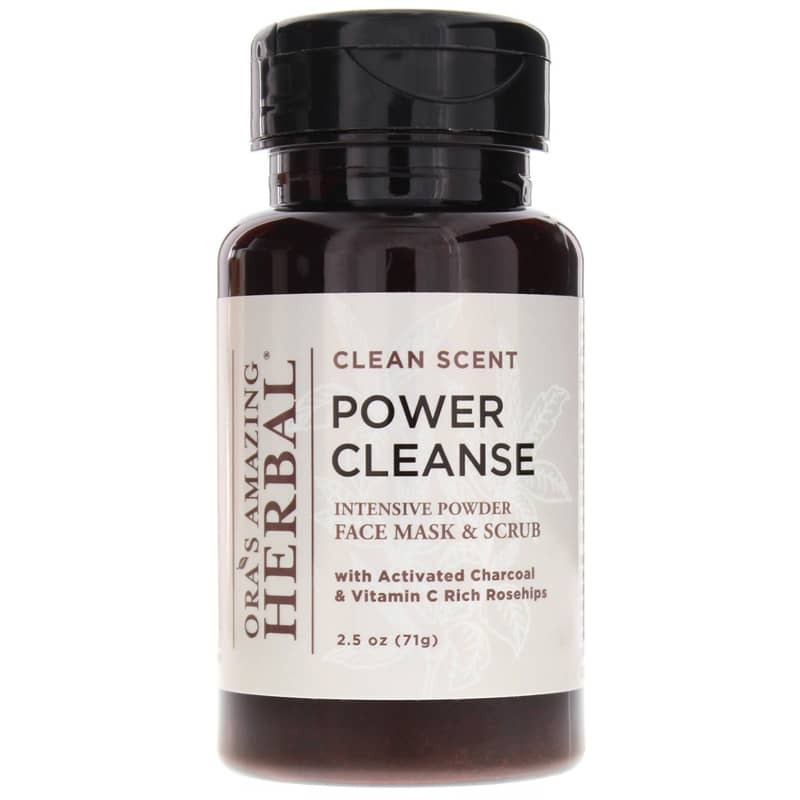 If you’re looking for a gentle, natural cleanser to clean and exfoliate your face, try Power-Cleanse Intensive Powder Face Mask and Scrub in clean scent from Ora’s Amazing Herbal. *Plantago major (Plantain Leaf), Kaolin Clay, *Rosa canina (Rosehips), Honey, Kosher Vegetable Glycerin, Boswellia carteri (Frankincense), Activated Charcoal (Food Grade Willow Bark Source), Essential Oils of Cedrus atlantica (Cedarwood), Eucalyptus globulus (Eucalyptus), Mentha spicata (Spearmint), Cymbopogon citratus (Lemongrass), Melaleuca viridiflor (Niaouli). Wet face, shake about a teaspoon of powder into wet palm and scrub face with forward circular motion. Add drops of water if desired. Rinse with warm water. Avoid contact with eyes. Increase quantity to achieve thicker consistency. Leave on to dry. Wash off with warm water and enjoy your fresh skin. For best results, follow with one of Ora's Phytonutrient Face Serums.